The majority of people have no clue how many calories are in those five, six drinks you have throughout the day. One coke here, two coffees there, a couple of cans of Red bull. The amount of calories you take in from the drinks alone is astonishing. Even if you eat healthy every day and have a good work out regime, you will still be fighting a losing battle. As an example, if you drink one coffee mocha with you usual addings that is around five hundred and fifty calories. So just by switching, even just every other drink to a glass of water will help you throw away hundreds and hundreds of unwanted calories. It does not necessarily need to be water that you switch to. Fruit juice is good for you and the vegetable juice is just as good and as a bonus it has less calories. As well as that good point, the vegetable juice also contains fiber thus making you feel full and making you eat less. Bye bye calories. Don’t knock fruit juice just yet, as it does contain plenty of necessary vitamins and nutrients, just watch for the added sugar some fruit juice companies add in. Plus if the juice has pulp it’s a sign it has fiber thus making you feel full just like the vegetable juice does. 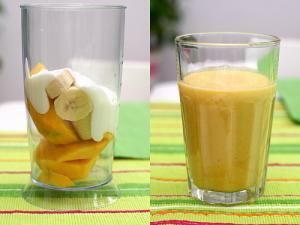 Smoothies are fabulous and scrumptious. Use your favourite fruits and a touch of milk just don’t add the sugar because you don’t need it. So basically make it yourself and don’t buy it from the local shop as they will you can be sure of, add honey, or sugar, or whipped cream. And as delectable as that sounds, you won’t be losing the calories. Coffee has absolutely no calories and is high in anti oxidants which inevitably make you feel good and give you a longer concentration span. By drinking black coffee you will also be lessening the risk of getting diabetes and/or cancer. You will only need to have two to four cups of black, sugarless coffee per day. Green tea is wonderful for you as it has many of the same benefits as coffee. As well as that it also has the effect of boosting your metabolism rate and as you know by having an increased metabolism you will inevitably burn fat faster. Detoxification with Fruit Diet - Yes or No? What’s The Most Effective Way For Women Over 40 To Burn Fat? I smell like the food I eat.. Over 3 years.. Is this bad? Do fibers decrease sugar level in the blood? Is caffeine in tea any different frob caffeine in coffee? How much sugar I can put in my cup of tea?